Unfortunately I have to waste my time writing about something that is not productive but I must do so to answer all of the questions I keep getting. I feel the need to straighten out the way some people are thinking. To begin with, Vibram USA was sued for making false claims about their footwear product known as FiveFingers. Their website touted benefits of many, but in particular that your foot can become stronger by wearing FiveFingers. This is a true statement, although it was not scientifically proven at the time the claims were made. The 2005 Nike Free study demonstrated a strength gain in the abductor hallucis muscle of the feet after subjects ran 6 months in the shoe. We have since seen Daniel Lieberman of Harvard publish a similar study on the New Balance Minimus and Merrell Barefoot Glove also demonstrating a strength gain in the abdcutor hallucis. My colleagues and I at the Kent State University College of Podiatric Medicine also have scientific data which we collected over the past 2 years that we are very excited to share as well. Albeit a bit too late for this legal battle, it will certainly shed some light on what happens to our feet during normal locomotion in a pair of FiveFingers. I have been very fortunate to interact with the Vibram USA where I spent a lot of time assisting in foot education, and with the help of Daniel Lieberman, write a transition protocol/running brochure for helping others transition to running in this manner. I was never employed by Vibram USA, nor did they influence me in any way to endorse their product. I did not sell their product and I do not represent them in anyway. I reached out to them 5 years ago when the barefoot running boom began and explained that this is a great way to protect the feet of those who are running barefoot. It ALLOWED natural running. It was a great product to wear that no one else was making. It was to our feet what gloves are to our hands. So simple, yet thought of as so “weird” looking. However, by wearing them our feet could function in the normal manner which they were intended to and yet not be considered barefoot. Many doors were opened for me through this adventure and I have encountered so many great individuals in the running community and shoe industry. I have also made some friendly enemies given the fact that I don’t recommend orthotics. I’ve had the opportunity to meet people from all over the world via Dr. Nick’s Running Blog which is growing astronomically by the second. What Vibram has done for the foot and running industry is truly a milestone. Some may not realize, but they helped change the way we look at running now, and more importantly for me, how we look at foot function. say I learned how to run, because that could be misleading. I realized the previous shoes I was wearing was inhibiting my ability to run naturally and was altering my gait. Altering my gait so much that I was slowing down, placing abnormal stress on my forefoot, and living with chronic pain. Eventually my injury resolved on its own as the stress to my forefoot diminished as I acquired a more natural gait by running in FiveFingers. As with many, it took time. Months in fact. But, my changes were permanent and I’ve been pain-free since 2010. So did Vibram make false acquisitions? I do not feel they did and I will explain why. They were able to break into and industry that for over forty years made the claim that our feet needed stability, motion control, and cushion to reduce or prevent injury. 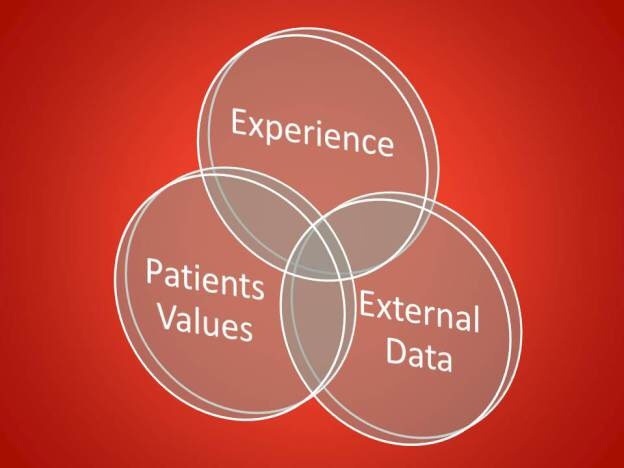 This industry not only sold this philosophy to the consumer, but also to physicians who then recommended it to their patients. The idea that shoes need to be fitted according to foot type with respect to arch height was instilled into all shoe manufactures and then passed down to specialty running shoe stores, retail sporting good stores, Runner’s World and other periodicals, as well as the health care professionals. Surprisingly, there is no scientific research or evidence to support this. And for the naysayers that will respond to this post with articles and claims that there is evidence, then why has the shoe industry changed? Why has the average drop height of shoes decreased by over 20%? Why has the flexibility of shoes increased? 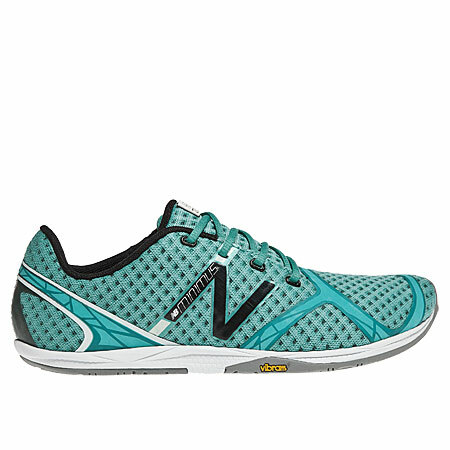 Why have the majority of all high end running shoes companies introduced minimalist shoes (New Balance Minimus, Merrell Barefoot Glove, Nike Free, Adidas Adipure, Altra Running Company, Saucony Kinvara, Brooks Pure, Skechers GOrun and GOMeb)? If the injury rates are still as high as 70% in traditional running shoes, then did these companies not make false claims as well? Are you getting it? It’s not the shoes that are the problem. It’s the training patterns and the way people run that create injuries. The traditional running shoes with high cushioned heels and motion control midsoles are severely inhibiting natural running form so bad that a high percentage of runners are getting injured. Pronation has nothing to do with overuse injuries. I can list countless articles that demonstrate this (and will do so in a blog post that is being drafted as you read this). Vibram made no more claims then did the rest of the industry over the past forty years. Look how many individuals bought shoes because they had a gel pad or air in the sole. Have you ever cut open an ASICS gel shoe to see the gel pad in it? There’s more cushion in the case I store my iPad in. And, If this gel is so crucial, then consider this- they sell you a shoe with gel in the heel for “X” amount of dollars, and if you spend a few extra dollars, you can get gel in the forefoot too. Are they not liable than for injuries to those who could not afford a shoe with gel in both the forefoot and the heel? The same goes for the Nike shoes and all shoe companies. Consider a physician who recommends a running shoe to a patient and they buy the “less expensive” model from the same brand. If this patient buys the $80 shoe instead if the $180 shoe who is responsible for the injury? The shoe company or the physician? Meaning if the $180 shoe with more motion control and stability propaganda is needed why do they sale the $80 shoe? Shouldn’t they be responsible for the injuries the $80 shoes created? Listen, I’m not trying to cover for the claims that Vibram made. Although at the end if the day the claims are more than likely true. Shoes do not create stress fractures, overuse and osteoporosis does. Running in FiveFingers does not create plantar fasciitis, overuse and weak abdcutor hallucis, abductor digiti minimi, and flexor hallucis brevis muscles do. Walking barefoot does improve posture so it’s pretty safe to assume that wearing a FiveFingers would improve posture. Ankle equinus is a pathologic condition that podiatrist claim many foot injuries and disorders are the result of. It refers to the ankle joint not being able to obtain more then 10° of dorsiflexion or upward motion. Well guess what happens when you put on a traditional running shoe with a 14mm drop height? Ankle joint motion is restricted and the foot is in equinus. Should we sue the shoe company? 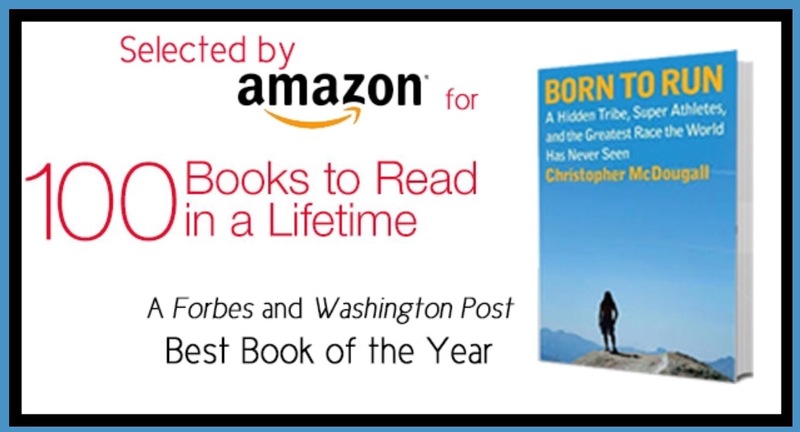 Chris McDougall’s book Born to Run has sold over a half of million copies world wide, was in the New York Times best seller list for over 200 consecutive weeks, and was coined by Amazon as one of the 100 books to read in a lifetime. Should we sue him as well? Running creates injuries. As we continue to run, we will continue to have injuries. Don’t blame a shoe company for getting injured. We didn’t have running shoes with cushioned heels and motion control before the 70’s and people still ran. Shoes are not the answer and I think Vibram was trying to make that point. Wearing FiveFingers doesn’t make the foot stronger. Not relying on support or motion control shoes is what makes the foot stronger. It just so happens that Vibram came up with a product that allowed this to occur. Thanks for reading and we can’t wait to share the results of our findings very soon! Thanks for this article. I researched and read a lot about barefoot/minimalist exercise before I started myself. Starting in running in 1978 on basic shoes and thinking I needed more, I changed over the years the make/models to get the most padding. As I sprained ankles on trails and ITB kicked in, I visited two podiatrists over the years to be put in an orthotic w/medial post and recommended to stay with the heavy padded running shoes. As the ITB went away, I still encountered sprained ankles (when striking a rounded rock or branch I rolled out), and replaced that with sore and achy ankles, knees, and low back with the topper of all, Achilles tendonosis (sp). All thinking this was part of running and I was getting older, I kept plodding on. Eventually, the soreness in the Achilles made me get either therapy or surgery, plus told to keep the padded shoes and orthotics. I opted for therapy, but then lost the spark for running and guess what? The tendonosis/itis went away! Go Figure. Welcome instead, laziness, little running/exercise over about eight years, and yes, weight gain. Enter a doctor (while working overseas) who I was discussing cholesterol, etc and he recommended I look into minimalist/barefoot exercise leading into running. He warned of a slow transition needed, as in a couple years. He also recommended Chris McDougall’s book as a motivator. Reading the book, and needing something to get started, I bought a paid of the VFF original model shoes to wear around the house when not barefoot. They felt good, period. That was three years ago and I have since slowly transitioned in my running (Ok – slow run) by taking out the orthotic, then the insole, and then mixing regular running shoes with VFF models. Now I’m running exclusively in VFF models (also not paid to represent or endorse Vibram – the shoes work for me.) I have tried the NB MT-10 and MT-00 but they didn’t feel good, plus I didn’t like the rubber strap around the forefoot. I liked the feel too, of the Vivibarefoot Breatho Trail, but during a long run my forefoot rubs and begins to blister. The VFF models, as noted in the article, wrap my foot like a glove and not a single blister or hot spot. I returned to the US a year ago and able to get out on more roads and mountain trails in Reno, NV and love the feel of the shoes on the trails. All said and done over the three years, I am barefoot as much as possible, I wear a VFF exclusively to run and for around town either a “used” VFF model or Vivobarefoot. Since running in a new way, barefoot/minimalist after watching video clips by Lee Saxby and Merrell, I feel better running with all the problems listed above gone. Only thing I encounter in the first couple miles is sore calf muscles, which goes away in a mile or so. Thus, the shoe does cause some issues and injuries, but too, I see the running pattern (heal strike vs. fore/mid-foot strike) does some too. Both compound each other. Thanks again for the great article. Altho im not a long distance runner, but i do about 10K a week and almost every other workout (wightlifting and calistenics) i do barefoot or with the VFF. thery are the best thing that ever happend to me!. and thanks for a great article. Finally some sanity in the rampant barefoot bashing going on right now. “So did Vibram make false acquisitions? I do not feel they did and I will explain why.” … when Vibram filed last year to get the class action struck out, the judge dismissed their motion and pretty much accused them of lieing and doing so deliberately. Go read the judgement. Yes, they made false claims. Yes, they lied. This was never about if the Vibram shoes or barefoot/minimalism was any good or not. It was all about Vibram claiming that there was “ample evidence” that running in their shoes you would get less injuries and run more economically. There was never any evidence to back that at the time and there still isn’t. The preponderance of all the scientific evidence shows that the injury rates are the same and there are no running economy benefits. They had no choice but to settle as it would have been an epic fail if it went to trial. Exactly, but the crazy thing is Craig. Their claim of less injuries, although unsubstantiated now, could one day be proven correct! btw – I love mine, but I don’t run in them(I would if I ran). I have been a barefoot runner since I was born. It is positive to be barefoot. I have done 100K on sand in not so fast but around 11 hours. With shoes a lot faster. I have done marathon in Vibram – KSO. Not so good for my body. You are way out from reality. Barefoot is good to be. On nice surface as personal as possible. Pose method came up in the 70’s. Has so far not given any good results. So? You pretty much answered your own questions in this article. Again…if this is the case, why should we all now be wearing minimalist shoes. You contradict yourself constantly in this article. It’s not the shoes. You are right about that. It’s the training patterns. Individuals can strengthen all of the muscles you mentioned with a balanced integrated strength training program. 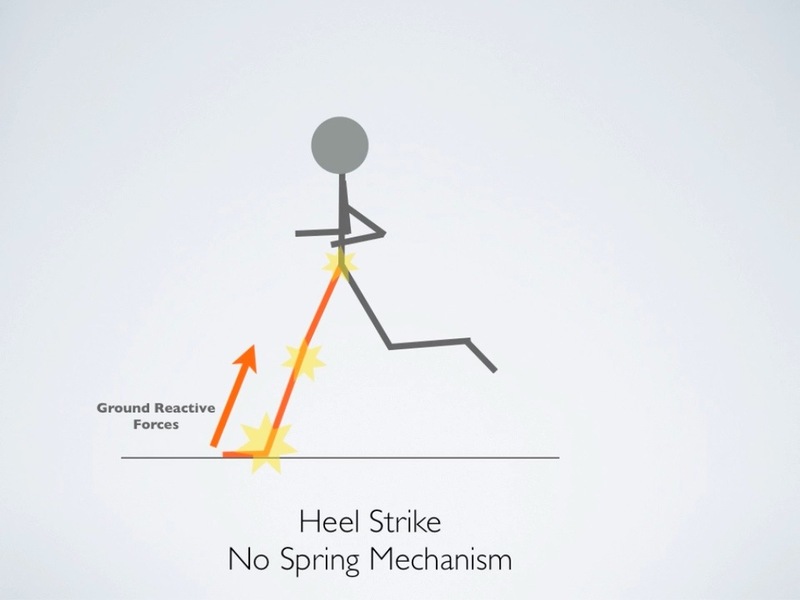 They don’t need to run barefoot or put on a pair of minimalist shoes…especially to reduce injuries. It is well documented that while some injuries have been decreased in the move to minimalist running, others have been created. And honestly, I just don’t think it’s that safe to be running with very little protection for your feet or throughout the kinetic chain. And just for the record, I have set PR’s in the 5k, 10k and Half Marathon at the age of 40 in my Brooks with cushion and support. If it’s not broke, don’t fix it. Runners get injured because all they do is run. If more runners cross trained and did the appropriate strength training, we wouldn’t see the injury rates we do…period. But buying protein shakes that claims “increase muscle mass” is different right? My favorite road running shoe is the Vibram KMD Sport LS. My favorite trail running shoe is the Vibram Spyridion LS. I think the lawsuit and the settlement is stupid. My ethical question is: Should I have no part in the lawsuit? Or should I take part in it and then use all the money I get to buy more Vibram shoes? After lawyer fees have been taken out, you’ll be lucky to get a pair of Crocs on sale. 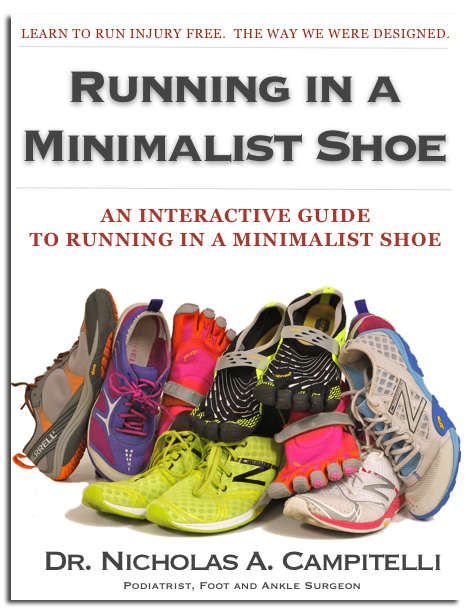 Personally I believe that anyone who has run in VFF’s will attest to the benefits of minimalist running. And added to the above countless hours of training and exploring trails. Never had a blister, stress fracture or any other injury in them. I wonder how many people will even try and get a refund – even if I could do so from South Africa, I never would. Once a VFF fan, always a VFF van! I made a switch to minimal shoes a couple of months ago. I had been advised that because I “overpronate” I needed a stability/motion control shoe WITH custom orthotics. I said screw that and went with Skechers GoBionic and haven’t looked back. I wore a pair of traditional running shoes recently and it was torture. For starters, they weigh a ton, were very restrictive, and it was like being in heels. My legs started hurting pretty bad within seconds, literally, and the pain lasted a couple of days. Maybe I should sue the manufacturers:) I think I’ll get me a pair of VFFs. The news of this settlement has created quite a stir in the running community. People are making a big of a deal out of this, but in my opinion it is a total non story. It’s pretty simple. Vibram made a claim they couldn’t back up with scientific research. The basics of the claim was that simply wearing Vibram Five Finger shoes would strengthen the muscles of your foot and decrease injuries. The fact that Vibram settled has nothing to do with whether the claim is true or not. And since Vibram isn’t admitted any guilt or wrong-doing, we really don’t know why they decided to settle. It’s possible that Vibram felt it was cheaper to settle than to fight this lawsuit further. This settlement doesn’t add anything to the ongoing conversation about whether barefoot/minimalist shoes are beneficial or harmful. The reality is that they are both beneficial to some people and harmful others. What matters more than your shoes is your body’s ability to move efficiently. Does your structure absorb and release the elastic energy of movement through proper gait mechanics. Or do you have dysfunction in the structure where breakdown takes place. A breakdown in structure and mechanics creates energy leaks. Instead of kinetic energy being spread throughout the fascia and re-released through the propulsion or toe off phase of gait, some of energy is leaked directly into the structure where there is less ability to absorb the energy safely. Over time this creates compensation patterns, pain, and injury. Changing your shoes has an effect on mechanics and structure, but only a small role. For people who have significant structural and bio-mechanical dysfunction, minimalist shoes can actually exacerbate injury… At least until the dysfunction is corrected. 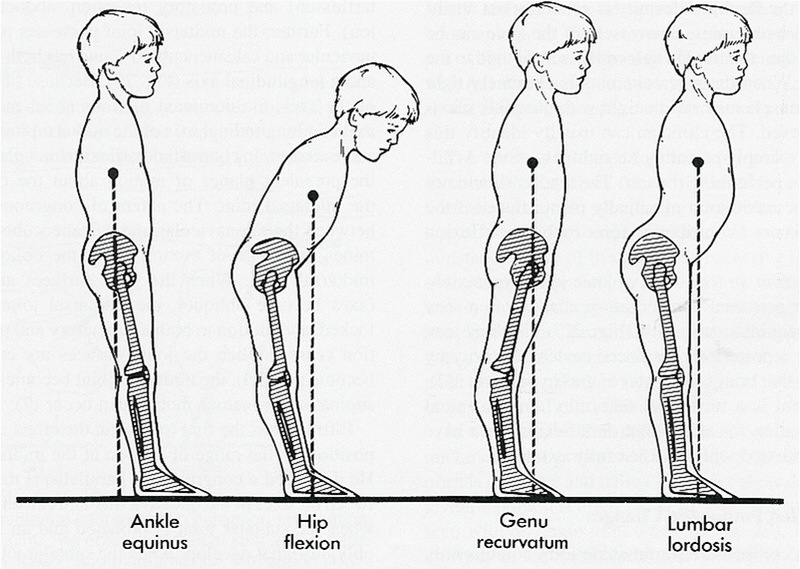 To correct these dysfunctions, you need a movement therapist who is trained to assess and correct issues of gait. Dr. Nick, you clearly know a lot about this topic, no doubt about it. But my impression is that you do endorse Vibram, even if as you claim you have not been paid. The principle behind defining an endorsement is not necessarily the payment of money, it is when an individual gets something of value in return (like being associated with the company or getting exposure to industry leaders, or being able to create a blog given impact and traction in runners community, just to give a few examples – I think you get my point). It seems you clearly got something of value (perhaps even of more value than if they had paid you) through your association with Vibram, which unfortunately in my view compromises your credibility and the merits of this article — even when most things may be accurate. As a blogger, industry leader, DR, teacher, or any type of leadership role one may have, CREDIBILITY is the highest currency, and it seems you (as many others) have compromised this huge asset. The fact that the company did not show scientific evidence supporting their claims means the company should not have made such claims or at least should have qualified those claims to ensure that consumers fully understand the big picture. It may sound complex but it is as simple as that. I think the problem is, as you state re protein shakes, that companies, including Vibram, do not care about consumers’ education, transparency, etc. any more than about making the P&L, even if that means getting sued and having to pay $4MM. Do you know how much $4MM is to Vibram in the scheme of things? Absolutely nothing! It is just one less TV campaign, period. So please put things into perspective and do not try to victimize this company as they are making millions of dollars a year through what has been technically proven as DECEPTIVE advertising. Again, nothing against the barefoot shoes they or any other company make, they may be the greatest thing ever invented, I really don’t care TBH, the point is how the company is promoting them. Finally, there is nothing wrong with endorsing a company, product, etc. we all have the right to do so for whatever reason we find compelling, what is wrong is to say we do not have anything to do or relation or interest with a product or company when in reality you do. That is similar to false advertising and it is in fact prohibited by FTC rules on endorsements, by the way. Anyway, good luck with your blog and think about CREDIBILITY before making claims or disclaimers as they may compromise the content of your article. Best. Sounds like somebody is trying to defend his own prior work. So running barefoot strengthens a few muscles? Wonderful. Smacking my head against a brick wall will strengthen my neck muscles, but is still quite harmful. Comparing a couple of million years of evolution with banging a head against a wall! ?!? Well if we all start doing it we should just about have adapted before the earth is destroyed by a war or the sun burns itself out! If you can’t wait that long why don’t you put a crash helmet on your ever so fragile noggin? The whole idea of being able to sue for “false advertising” is questionable. It is begging for lack of responsibility on the part of the buyer. Thinking things through or problem solving as we go along is always personally more productive that getting injured and saying “they did it to me because I did what they said.” I’m sure my mother has said something about that… As for comparing barefoot running to banging my head on the wall, that’s like saying that using my hands without (motion inhibiting) gloves is destructive because some people accidentally cut themselves with knives or smash their fingers in cupboards. This is a brilliant article. I had this same discussion with a few of my running buddies who are firmly in the traditional running shoe camp, although our discussions are much less technical! It took me almost six months to get used to the Vibrams minimalist shoes, and longer still before I was confident and comfortable running in them for any length of time. Since though, I don’t have half as much ankle or foot pain and my posture has improved dramatically. I find the law suit silly. You are going to tell me that their are no health benefits of vibrams if you run everyday for a month? Perhaps they were outlandish on their claims but not to deserve this massive settlement. You are going to stunt creativity. Now I run with a much lighter should because vibram took a risk. They transformed the industry. I am no longer running with these heavy trainers. 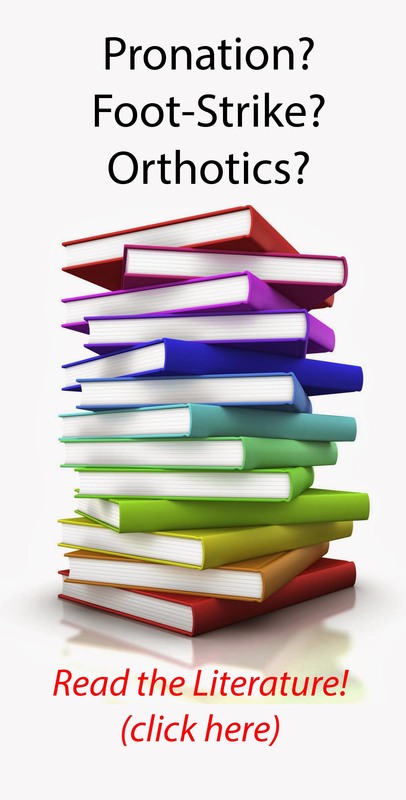 Dr Nick – almost 2 years since you wrote this article – has your research been published yet? September 2016. Was retracted and had to revise. Much resistance from colleagues who oppose. Just now came across this. Agree 100%. I’ve been wearing Vibrams (KSOs and Bikilas) since October 2010. They are the only shoes I ever wear, save to weddings and funerals and the odd super important business meeting (I’m an MD/PhD medical oncologist with a cancer lab based practice). Currently gong on 71 years old and training to qualify for the Boston Marathon). I was a decent recreational runner in my late 30s. Half dozen sub 36:15 10Ks. 2:59 in my one and only marathon. Had to give up the sport because of intractable knee pain. Spent twenty years mainly swimming. At age 63, tried to take up running again. Knee pain promptly returned. Spent two weeks doing deep water pool running to recover and bought my first pair of KSOs. Miracle — no pain! 4 months later I did a 1:41 half marathon just shy of my 64th birthday in the KSOs. I now own 9 active pairs of Five Fingers. I wear then until I can no longer repair then with duct tape. They tend to smell; so i hose them out good and put them on my roof to bake in the Southern California sun for a few days. That’s why I have 9 pairs. Always have several “fresh” pairs for wearing to work or to train. The only problems are: (1) even walking over a lawn covered with dew, they get soaking wet very easily and will not dry until removed and put up on my roof for a day or so. (2) Stepping on a marble sized stone (to say nothing of a radish sized stone) is deadly. My only injury in them has been a severe forefoot bone bruise from a series of diabolically unfortunate forefoot strikes on such stones. I had to resort to Dr. Scholl’s gel insoles (trimmed off the front ends with scissors, such that these insoles did not extend into the toe region). Anyway, I utterly love walking around virtually barefoot all day long and my knees love training for my marathons in them. Plus, they are what can be described as being “chick magnets.” Women of all ages (but seldom men, interestingly) are forever asking me questions about my unusual footwear. P.S. Yes I do see the typographical errors in my comment. Alas, no option to edit. Apologies.